Thinking about a colour change? 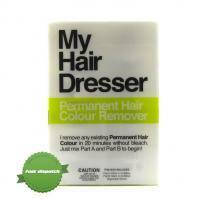 We stock a range of permanent and semi permanent hair dyes from natural colours to dramatic reds and purple hues. As the wella soft colour range has been discontinued we recommend people looking for a semi permanent use a MYHD colours tube with a no lift developer tube to get a semi permanent at a great price. 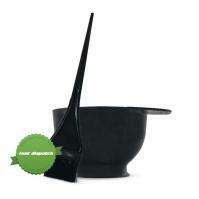 We also stock a number of colour tools, brushes, gloves, bowls and bottles to make dying easy. Selecting a hair dye shade. There are hundreds of hair colour products available, which can make choosing the perfect hair dye shade for you quite tricky. Manufacturer websites normally have information that will help you choose the right colour for your needs. It also helps to try out different shades by choosing temporary or semi-permanent hair dye's first. Most temporary hair dye washes out in 6-12 shampoos, and semi-permanent hair dye washes out in 20-26 shampoos. Get all your tools ready before beginning, including plastic gloves, wiping cloth, hair clips, wide tooth comb, safety pins etc. Follow the instructions on the product label or box, especially if you have not used the hair dye before. Do a strand test before using the hair dye. Take note that freshly washed hair does not have the oil that absorbs the hair colour.